The SyRen motor driver is one of the most versatile, efficient and easy to use motor drivers on the market. It is suitable for medium powered robots - up to 50lbs in combat or 180lbs for general purpose robotics. Out of the box, the SyRen 25 can supply a single DC brushed motor with up to 25A continuously. Peak currents of 45A are achievable for a few seconds. Overcurrent and thermal protection means you'll never have to worry about killing the driver with accidental stalls or by hooking up too big a motor. With just one SyRen driver you can control a motor with: analog voltage, radio control, serial and packetized serial. You can build many different robots of increasing complexity for years to come with a SyRen. The operating mode is set with the onboard DIP switches so there are no jumpers to lose. The SyRen features screw terminal connectors - making it possible for you to build a robot without even soldering. 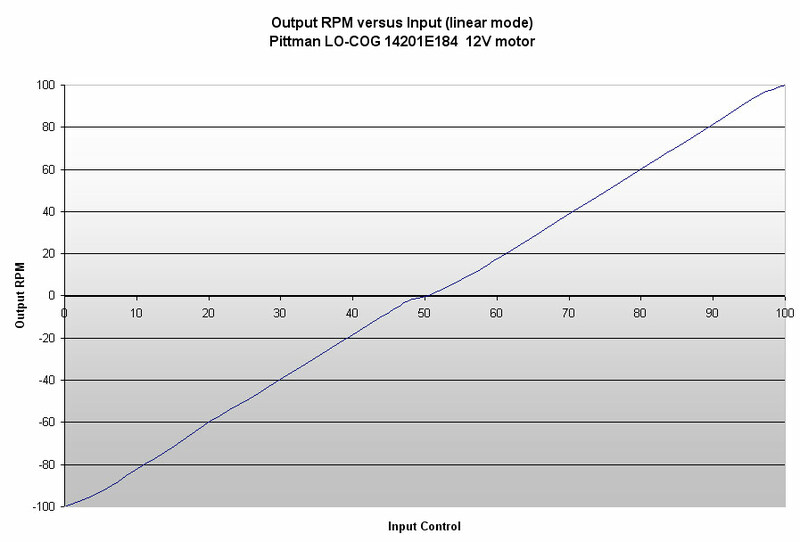 SyRen is the first synchronous regenerative motor driver in its class. The regenerative topology means that your batteries get recharged whenever you command your robot to slow down or reverse. SyRen also allows you to make very fast stops and reverses - giving your robot a quick and nimble edge. SyRen has a built in 5V BEC that can provide power to a microcontroller or R/C receiver. The lithium cutoff mode allows SyRen to operate safely with lithium ion and lithium polymer battery packs - the highest energy density batteries available. SyRen's transistors are switched at ultrasonic speeds (32kHz). Use of the motor drivers with cheap AC adapters is not recommended. Use a battery or at least put a battery in parallel with a DC supply. Servo pigtails are available here. To expand the features of SyRen 25A Regenerative Motor Driver you can attach a Kangaroo x2 Motion Controller to the input terminal block on the rear of the motor controller. The Kangaroo x2 adds precision position and speed control to the motor controller. The carefully tuned PID controller gives you the benefits of speed control without the need of advanced math and physics knowledge. For more information on the Kangaroo x2 click here. Servo pigtails make connecting the motor controller to an R/C receiver quick and easy. Select an option by clicking on its button. To see more details about the option select the option name, selecting 'more details' in the pop-up will take you to that options product page. Default selections (if any) are pre- selected for you. Click on the update button below to see the price with your selected options. *The Kangaroo x2 motion controller is perfect for adding encoder feedback to your motor controller. Out of the box, the SyRen motor driver can supply a single DC brushed motor with up to 10A continuously. Peak currents of 15A are achievable for a few seconds. Made by Dimension Engineering. Kangaroo x2 adds self-tuning feedback motion control to your Sabertooth or SyRen motor driver. It can be used with quadrature encoders or potentiometers to provide position or speed control. Made by Dimension Engineering. Used for testing: TFMINI Micro LiDAR Module, connectors have been changed for testing.